China and North Korea have been blood allies since the beginning of the Cold War, following the friendship built during the Korean War against the US-led UN troops. In the post-Cold War era, the Sino-DPRK relationship has become commercialised. It started with the entry of a small number of Chinese companies into North Korea in the early 2000s and gained momentum with the Agreement between the Government of the PRC and the Government of the DPRK for the Promotion and Protection of Investment in 2005. Chinese economic activities in North Korea expanded rapidly in several fields such as mineral resources, the fishing industry, physical infrastructure, tourism, and labour cooperation. In particular, economic engagement in the mineral resources and fishery industries has helped to reduce the negative impact of non-traditional security problems such as resource scarcity and environmental issues. China’s fishery resource scarcity was caused by two major factors: the Sino-South Korea (ROK) Fishery Agreement and coastal environment pollution. On one hand, the Sino-ROK fishery agreement, effective since June 2001, has resulted in a large reduction in the number of Chinese fishing boats in historical fishing areas such as Tsushima and Chejudo. It caused the loss of forty percent of the traditional external fishing area and thirty percent of fishing boats in the mutual fishing area. In 2005, in the Yellow Sea and the East Sea, the number of fishing boats was reduced to one third of the amount in 2000. Meanwhile, the total fishery quota of Liaoning province in 2005 was less than 10 percent of that in 2000. North Korea offers a replacement fishing area. Take Shandong province as an example: depending on the different financial conditions, after 2001, several cities in Shandong province chose to buy fishing licenses to fish in North Korean waters. 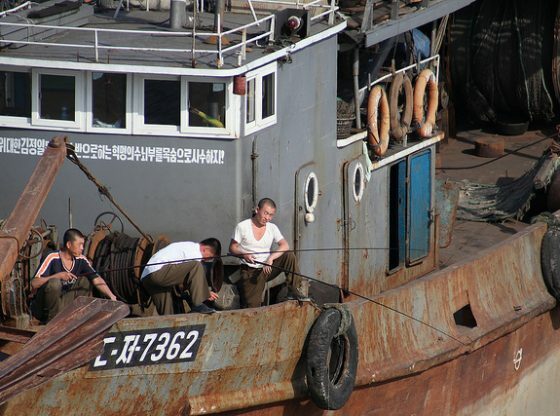 The local authorities and fishery companies of Rongcheng, a less developed town in Shandong, also responded to the reduction of traditional fishing areas by starting to apply for fishing licenses in North Korea from 2005. Ocean pollution directly reduces the fish population and decreases the patterns of seafood harvesting in a vicious cycle of ‘pollution – fewer fishery products – overfish – fishery resource exhaustion’. In China, apart from the South China Sea, which is further away from the continent, environmental pollution has led to red tides in the Bohai Sea, Yellow Sea and East China Sea since the 1980s, creating a huge economic loss within the fishery industry. Thus, North Korea’s clean coastal area became one of the alternatives. 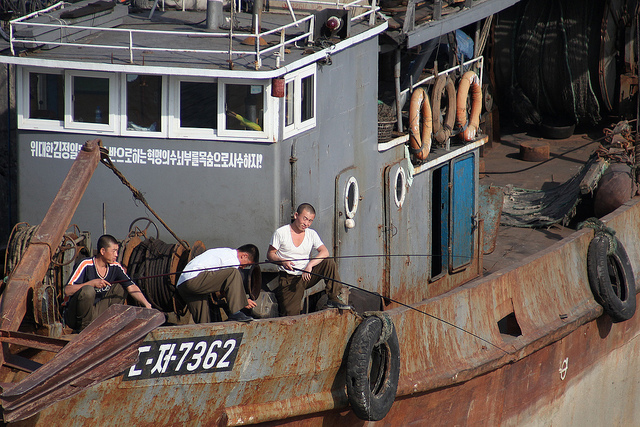 Developing the fishery industry in the North Korean ocean territory has promoted the quality and quantity of fishery products by avoiding the negative impacts of environmental pollution to the fishery seedlings. Take the example of the Penglai Xingdong Company, which developed a project named ‘Domestic Seedlings for External Cultivation (内育外养)’ and constructed its fishery facilities in North Korea for mussels products of better quality with a shorter cultivation period. Furthermore, other Chinese fishery enterprises have also been motivated to change their catchment areas to North Korea because of the Japanese nuclear accident. Another important area to watch is that concerning rare-earth mineral reserves. China has 30 percent of global rare-earth deposits, but supplies over 90 percent of these rare-earth materials to the world market at a very cheap price. Since 1998 Beijing has implemented a rare-earth quota system to limit its export. This quota system was so restrictive that it led to frequent diplomatic protests from the European Union and other countries, who considered the quota system to be a type of resource war. However, the quota system has not prevented the depletion of Chinese rare-earth reserves due to rare-earth smuggling of up to 20 thousand tons per year. Thus, even China will become a net rare-earth importing country by the end of the 21st century – making investment in North Korean rare-earth mines a vital activity. According to one report, the deposit of rare-earth minerals in North Korea is estimated at 20 million tons. If the global demand for rare-earth minerals stabilises at its 2011 level (i.e. 70 thousand tons), the North Korean rare-earth deposits, could fulfil the requirements of the global rare-earth market for almost three hundred years. Access to these reserves would assist in China’s dominance of the rare-earth market. Although China imposed UN economic sanctions on North Korea last year, suspending rare-earth imports, the long-term relationship is still significant for China once the nuclear problem of North Korea is resolved. Furthermore, separating rare-earths from the original chemical mixtures may create huge pollution. Producing one ton of rare-earth products normally creates ten tons of waste pollution. By investing in rare-earth mines in North Korea, the heavy cost of reducing environmental pollution and dealing with the waste created during the production in China may be reduced significantly. In this way, economic activities in North Korea in the rare-earth sector meet both short-term requirements of local authorities in the prevention of environmental pollution and the reduction in economic costs and the long-term national interest of sustaining control of the global rare-earth market. 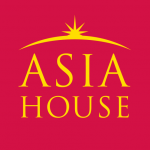 The commercialisation of the Sino-DPRK relationship means Chinese interests in North Korea have been both de-ideologised and diversified at the strategic national and sub-state levels. In contrast to the ideological, political and military alliance of the Cold War era, ties today include much deeper interdependence. Beijing needs to consider the economic concerns and interests of China’s provinces, cities and even the private enterprises which have developed business in North Korea. It might reduce the effects of Chinese economic sanction towards North Korea because Beijing may limit the sanctions in order to protect their interests at the sub-state level. Bo Gao received a PhD at the University of Nottingham in Ningbo, China for research on the China-North Korea relationship and non-traditional security problems. Image CC by Roman Harak/Flickr. The Sports Industry: the Next Big Thing in China?